A lot of different elements come together to make an event extraordinary, and great lighting design is big part of the final effect. At Track Seven Events, we customize the lighting for every event we arrange, and we work closely with our clients to perfectly bring their vision to life through lighting, props, music, and countless other big and little details. The right party lights instantly set the mood you want for your occasion. Lights can get the crowd up and dancing, or they can work to create a quiet intimate vibe for a dining table or a conversation corner. Your party lights can add to the sense of luxury, excitement, professionalism, happiness, or whatever feeling is central to your event. You let us know what you are aiming for, and we put together the lights to create that mood. Event lighting design is the critical finishing touch to any party decor. If you decide to go with a themed party, we offer a range of themes from sports to the Roaring ‘20s and everything in between. Prop lighting helps us create realistic, fun party themes customized for your event. For instance, lights that mimic the hypnotic allure of a campfire are ideal for campout theme events, while lights that create the hazy mist of a winter wonderland are essential with that theme. At a recent New York City themed event, fun stoplights, traffic control lights, and a light-filled simulation of the skyline worked together to make the party guests feel like they were in the Big Apple. In addition to using lights to create ambience and add realistic flavor to themed events, projections are another popular offering. You can create projections featuring special messages that tie into your theme. That could be anything from "Happy Anniversary" to "Mazel Tov" to "Best Wishes for Your Retirement, Bob." If you're planning a Bar Mitzvah, a wedding, a corporate event, or any other special occasion, take a look at those specific galleries to gather ideas, or just call us at 678-805-8825.  At Track Seven Events, we're ready to light up your event.